Martin graduated from Queens University in 1981 and completed a Post-Graduate Diploma in Accounting at Queens in 1982. He joined the leading international accountancy firm KPMG in 1982, qualified as a Chartered Accountant in 1984 and was appointed an Audit Manager in 1986. During his time as Audit Manager with KPMG Martin was responsible for the audit of several international companies and gained considerable experience in corporate finance assignments involving company take-overs and restructuring. He joined the practice in 1988 and was appointed a Partner in 1992. His role within MG accountants involves the overseeing and development of the audit function in both the private and public sectors. 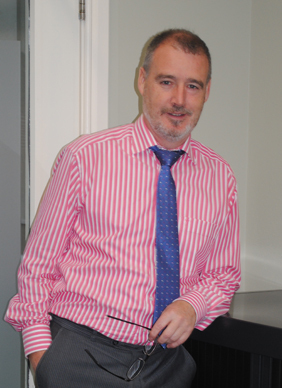 Martin specialises in consultancy and corporate finance work involving the preparation of detailed financial plans to Invest Northern Ireland and the Department of Agriculture and Rural Development in particular submissions for the Agricultural Processing Sector under the EU Processing and Marketing Grant Scheme. Martin is also involved in the raising of finance with banks and other financial institutions for private individuals, partnerships and the corporate sector. He has also 30 years’ experience in personal and corporate tax planning in particular providing inheritance tax advice. Martin’s passion is football and is currently an active youth coach with Armagh City FC. He is also involved in charitable work particularly in Africa and is a frequent visitor to Uganda where fundraising has been used to build educational facilities and provide sponsorship for disadvantaged and orphaned children. 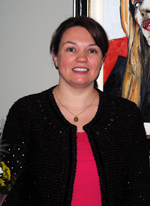 Claire trained and qualified with MG accountants in 2004. Claire is originally from Poyntzpass with family roots in Portadown. Claire now resides in Dromintee, Newry. Claire is responsible for a number of large clients within the practice, particularly group companies with ROI subsidiaries. These group companies are in varied sectors to include engineering, food processing, agricultural by-products, specialist haulage services and the agri sector in general. Claire also deals with EU holding companies and subsidiaries as part of this work. Over the last number of years Claire has developed expertise and advises on all aspects of taxation; most recently regarding substantial taxation loss claims in respect to property development clients which triggered significant tax rebates for such clients. Claire’s taxation advice also includes detailed inheritance tax planning and capital gains tax reviews. Claire has studied additional specialist tax modules as part of her continued professional development. Claire’s interests include music, dancing and reading; and looking after two young sons!